Replacing the Toyota Corolla hubcaps on a vehicle of any year is easily done. There are in fact a variety of designs, intended to help the user to select a product which will help to make their car look even more stylish and impressive than when it was first bought. There is no real need to assemble any of the parts, and all of them can be changed by the driver, rather than by a specialist car workshop. 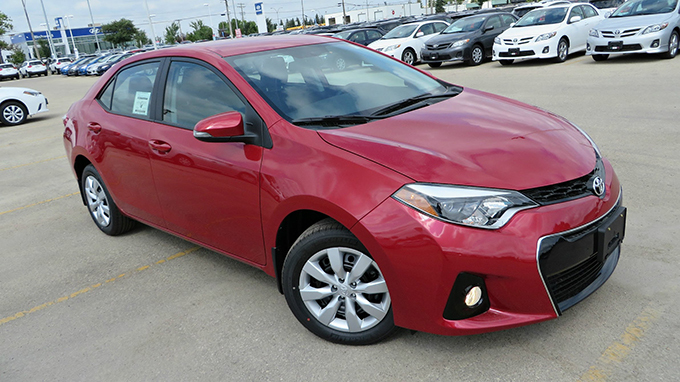 There are such a range of hubcaps available for the car that choosing the top 10 of these Toyota Corolla accessories is not easy. 1. Model 448c – This model, which features 5 bars set at angles along the edge of the hubcap, can be made from chrome, or a bright silver color which can make the car appear as though it has platinum edges. This is a dynamic design which will appeal to anyone with an eye for a good design. 2. Model 422 – These 15″ hubcaps are available brand new, but selective buyers can also find used hubcaps for the Toyota Corolla in this design. In silver, it is lightweight, and also affordable, which is great for any car owner. 3. Model 1012 – A much more dynamic set of Toyota Corolla hubcaps, this features 7 V shapes pointing out from the center, and all colored in fine silver or chrome, which is designed to catch the eye. 4. 616 Universal Fit – These models are designed to fit all types of Corolla, including the Toyota Corolla Sport, and are not that dissimilar to the 422, being 6 bars evenly spread across the surface of the hubcap, and available in both chrome and silver. 5. 118 Universal Fit – Another of the models which are designed to fit all types of Toyota Corolla wheels, from the Sport to the standard design. This is a more dynamic design than those previously mentioned, with bars spinning around a central axis, rather like a ‘wheel on fire’ style familiar from other vehicle makes. 6. Model 410 – This silver colored model is rather unusual, as it has an inset metal center which is depressed, with the bars curving out an over in a rather sensual fashion. This looks brutal and medieval, and is also pleasing to the eye. 7. Model 450 – Another of the universal designs which means that it will fit all Toyota Corolla parts and wheels, this design is available in silver and chrome. 8. Model 404 – This is a much fatter version of other types of Toyota Corolla hubcaps, being pleasingly curved and available in Silver. 9. Matrix IMP – This is designed for both the Corolla and Matrix model where numbers start with a ‘2’, and will not fit the VIN models beginning with a ‘3’. 10. 423 Universal Designed in both Chrome and Silver, these hubcaps have multiple bars which look attractive, and will please the eye and attract attention from those it passes, and the neighbors.